Difficulty Breathing: This maybe the most serious of all non-trauma-induced injuries, because hypoxia (low oxygen levels) and the events that follow can lead to respiratory arrest and possibly death if not treated quickly. In addition, when this is occuring, your cat is suffering and panicked. Difficulty breathing is an immediate emergency. It may arise slowly or acutely. Regardless, when you notice any of these symptoms, your cat is in trouble and needs veterinary care. Symptoms include labored breathing (this can be subtle but it looks like your cat's chest is moving faster and more pronounced while breathing), making alarming noises, or puffing of the lips. If you see or suspect these symptoms, seek immediate emergency cat care. Major Trauma: If your cat experiences major traumas, such as attack by a dog, falling from a height, hit by a car, or a fight with another cat, seek cat emergency care immediately. Remember, cats do not usually show immediate symptoms of injury even when they have internal trauma. 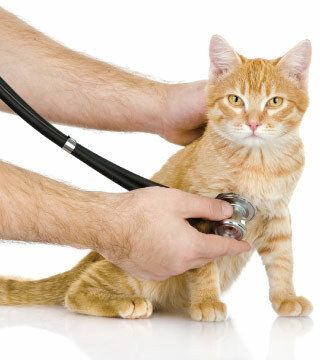 Veterinarians will be able to assess and look for the not obvious signs of serious illness. We are equipped to handle your office hour emergencies, but when we are not in the office we count on the great teams at Animal Emergency and Critical Care of Brevard and Animal Specialty & Emergency Hospital.